Q-Connect White Plotter Paper Matte 610mmx50m 80gsm (Pack of 4) KF15169 Pack of 1 Q-Connect plotter paper for sharp and bold results. Clear surface ensures perfect clarity. Perfect for graphic presentations. 80gsm for resistance to wear. 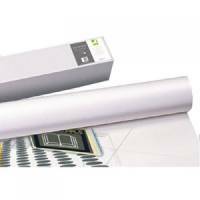 Includes 4 rolls of 610mm x 50 metres..
Q-Connect White Plotter Paper Matte 914mmx50m (Pack of 4) KF15170 Pack of 1 Q-Connect plotter paper for sharp and bold results. Clear surface ensures perfect clarity. Perfect for graphic presentations. Quality 80gsm paper. 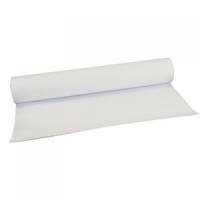 Includes 4 rolls of 914mm x 50 metres..
Q-Connect White 90gsm Plotter Paper Matte 610mm (Pack of 4) KF15171 Pack of 1 Q-Connect plotter paper for sharp and bold results. Clear surface ensures perfect clarity. Perfect for graphic presentations. Value alternative to big brands. Includes 4 rolls of 610mm x 45 metres. 90gsm for resistance against damage. Q-Connect White Plotter Paper Matte 914mmx50m 90gsm (Pack of 4) KF15172 Pack of 1 Q-Connect plotter paper for sharp and bold results. Clear surface ensures perfect clarity. Perfect for graphic presentations. Value alternative to big brands. 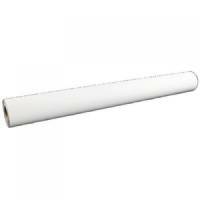 Includes 4 rolls of 610mm x 45 metres. 90gsm weight for durability. Coala Uncoated Inkjet 610x45 90g PK2 Pack of 1 Uncoated inkjet paper. Coala Uncoated Inkjet 914X45 90g PK2 Pack of 1 Uncoated inkjet paper. Coala PrePress Matt 610 x 45m 90gm 1rl Pack of 1 For high resolution cad and imposition proofingideal for both dye and pigmented inkshigh quality quick drying finish. Coala PrePress Matt 914 x 45m 90gm 1rl Pack of 1 For high resolution cad and imposition proofingideal for both dye and pigmented inkshigh quality quick drying finish. Coala Matt Coated Inkjet 610 x 30m 120gm 1rl Pack of 1 Heavy coated matt papershigh resolution poster printing using both dye and pigmented inksexcellent quality quick drying finish. Coala Matt Coated Inkjet 914 x 30m 120gm 1rl Pack of 1 Heavy coated matt papershigh resolution poster printing using both dye and pigmented inksexcellent quality quick drying finish. Coala Matt Coated Inkjet 1067 x 30m 120gm 1rl Pack of 1 Heavy coated matt papershigh resolution poster printing using both dye and pigmented inksexcellent quality quick drying finish. Coala Matt Coated Inkjet 610 x 30m 180gm 1rl Pack of 1 Heavy coated matt papershigh resolution poster printing using both dye and pigmented inksexcellent quality quick drying finish. Coala Matt Coated Inkjet 914 x 30m 180gm 1rl Pack of 1 Heavy coated matt papershigh resolution poster printing using both dye and pigmented inksexcellent quality quick drying finish. Coala Photo-Realistic Matt 610 x 30m 180gsm 1rl Pack of 1 Photo-realistic matt coated paperheavy inkjet coated barrierexcellent cockle resistant propertiestruly universal material suitable for dye; pigmented; solvente; ecosolvent and oil based inksdevelopped to cope with high ink loadsgreat colour definition and. Coala Photo Paper Universal Gloss 610x30m 190gsm 1rl Pack of 1 Exceptional photo universal papers microporous colour receiver layerunique microporous coating non reflective for instant dry prints with both dye and pigmented inksextra white appearance for great colour vibrancyideal for high resolution colour outputfog. Coala Photo Paper Universal Gloss 914x30m 190gsm 1rl Pack of 1 Exceptional photo universal papers microporous colour receiver layerunique microporous coating non reflective for instant dry prints with both dye and pigmented inksextra white appearance for great colour vibrancyideal for high resolution colour outputfog. Coala Photo Paper Universal Satin 610x30m 190gsm 1rl Pack of 1 Exceptional photo universal papers microporous colour receiver layerunique microporous coating non reflective for instant dry prints with both dye and pigmented inksextra white appearance for great colour vibrancyideal for high resolution colour outputfog. Coala Polyester RollUp WB 914 x 30m 160mic 1rl Pack of 1 350 Mic polyester with grey backmattgood scratch-and water resistancevery good stiffness; opaque highly dimensionally stable. Coala Polycotton Canvas WB 914 x 15m 340gsm 1rl Pack of 1 340 G poly/cotton canvascoated for waterbased pigmented inksfast dryingwater resistantno white cracking; good printability.